FACT: MCWW DONORS ARE AWESOME. JOIN THE CREW! FACT: YOUR KIDS WILL THINK YOU ARE COOL WHILE YOU PROVIDE LIFE CHANGING JOBS FOR APPRENTICES. WIN! A FEW PIECES OF LUMBER CAN CHANGE LIVES. An unforgettable experience that impacts young men in Birmingham, AL and brings joy to children everywhere. YOUR CUSTOMERS WILL LOVE THEM. When your store sells our impact kits you are doing just that, making an impact. Your donated dollars have a tangible impact on all Magic City Woodwork's Apprentices and youth around the world. Every $20 given is a meaningful work experience for our men and an amazing moment that a child gets to have. Every $20 you donate helps provide an Impact Kit to a child that Christian Service Mission serves as well as meaningful work for Magic City Woodwork's Apprentices. 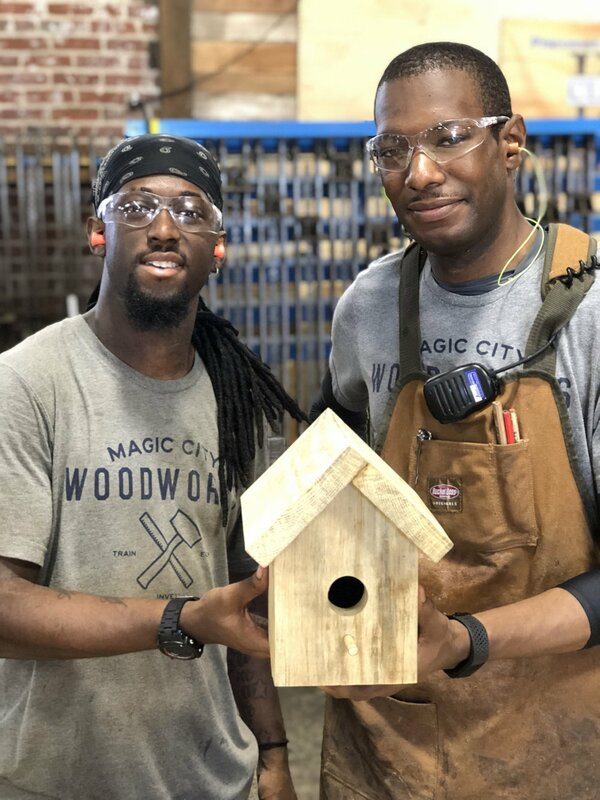 Every $20 you donate helps provide an Impact Kit to a child with Path Project as well as meaningful work for Magic City Woodwork's Apprentices. Every $20 you donate helps provide an Impact Kit to a child with The Birthday Party Project as well as meaningful work for Magic City Woodwork's Apprentices. WANT US TO COME TO YOUR SCHOOL, COMMUNITY CENTER, OR ORGANIZATION? We love partnering and would love to hear from you! We Teach Young Men The Art Of Work.